Curry Architects’ Director of Design Nikki Brooks is currently working on conceptual plans for the redesign of Leroy Merritt’s former residence originally constructed in the early 1980’s. 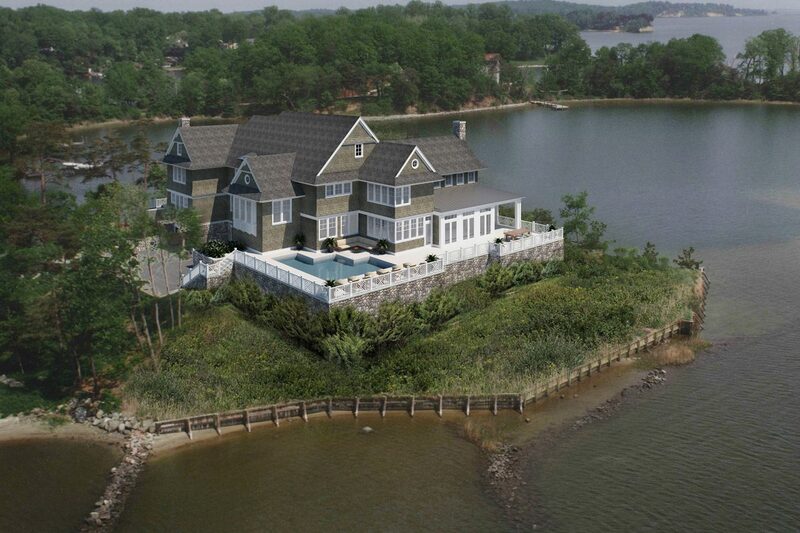 This over 10,000 square foot home has sweeping near 360 degree waterfront views in its prime location on a private peninsula on the Magothy River in Anne Arundel County. The new design would be at home in the Hamptons in New York or Kennebunkport Maine with its classic gabled roof, wood shingles, crisp white trim, and stone accents.